Re: Non-Ranking Options for Kenpo Students: Advantages & Disadvantages? I find it interesting that you have offered this option to your students and would like to learn from your experiences. 1. How do you keep track of the amount of (base) material a student might know, especially when and if your schools grows? 2. How have you planned on evaluating a student from another school practicing the same non-ranking option? 3. How do the students evaluate their own progression? Thanks for the response, and good to hear from you! Shoot me an email (sifujaywilson@yahoo.com), and I'll go into some more detail and ideas in order to answer your questions. 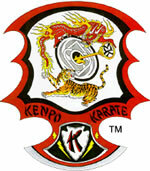 I trained in Chinese Kenpo from 1973 to 1977. The instructor though a highly ranked Kenpo black belt did not award colored belts to anyone. His assistant instructors all wore white belts. We engaged in a great amount of free style sparring. I practiced all the required techniques and forms of orange and purple belt and the extensions of those techniques. I'm familiar with the forms (kata) including the panther set; Tiger/crane etc. In later years I became more involved in the so called "internal" arts. The problem with not having belt rank is that one cannot share their knowledge and experience with others. No one would want to study under a person with no belt rank, even though the colored belt system is of relatively recent origin (1930s). I'm 62 years old and many things that used to be important to me are no longer so. The only reason I would consider teaching is when I see the generally dreadful state of martial arts training. A veritable supermarket of junk food.